The above represents our standard service area, however we have been known to service other areas. Please contact us with you job specifics. Rappley Plumbing & Heating Inc. is based in Rhinelander Wisconsin. 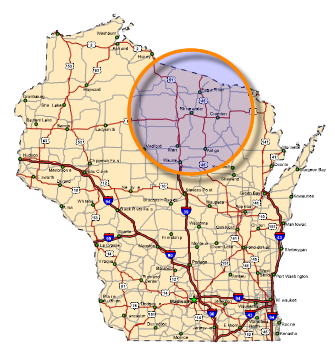 Our team is dedicated to keeping residential homes and commercial buildings comfortable in the northwoods and beyond. There is a technician waiting to take your call 24 hours a day 7 days a week.